No one is interested to incur money on non-functional or non-aesthetic value things on one’s car but for windshield which is a safety thing. The role of windshield is to provide distortion free vision. One is forced to go for windshield replenishment when….. Broken Windshield: Over the period of time car manufacturing process evolved to provide maximum safety to occupants. Windshield is one which was high on car designer’s mind as safety item. 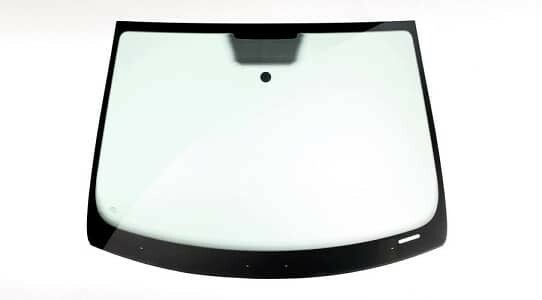 Now all the cars are fitted with laminated windshields unlike in the past when cars were fitted with toughened glasses. Advantage laminated windshield is that it doesn’t collapse completely in case it is hit with force. Multiple cracks or web would appear and force you to go for a change and then you may visit your nearest Auto Glass Masters service centre for replenishment. Any damaged windshield affects car’s structural integrity and hence compromises passenger’s safety. Chip or Cracks in Windshield: Sometimes windshield is hit by a stone while on a road drive. This kind of incident leaves your windshield with a small spot. Such a small chip or spot may not seem significantly dangerous, but it needs immediate attention. If you don’t get this spot repaired, it may spread and the crack will go deep into the glass. Once the crack got spread beyond the size of a rupee coin, it becomes unrepairable. We suggest you to visit your nearest Auto Glass Masters service centre for repair of any such small spot or chip. Windshield chip repair can help you avoid a new car glass replacement. Scratched Windshield: Old worn out windshield wipers may scratch windshield and erode its smooth see through status. Normal scratches in the upper layer can be removed through buffing. You can contact your nearest Auto Glass Masters service centre for buffing to know more about windshield scratch removal and its benefits. But in case the scratches are deep and can’t be removed through buffing, you need to go for windshield replenishment. Visibility Issues: Moreover with times sometime windshields wear out due to various environmental reasons thus forcing car owner to go for a replenishment. As the time passes the weather conditions take a toll on windshield’s upper and PVB layer. After a certain time, that varies with the manufacturer and operating conditions, PVB layer which holds the layers of glasses in a laminated windshield together starts eroding. Chemical changes in the PVB decreases its transparency. This may not affect the visibility in broad daylight, but at night or on a rainy day when you face light from other vehicle coming from opposite direction spread in the PVB layer due to reduced transparency. It affects your driving as you will not be able to see through your windscreen properly. In this condition the windshield can’t be repaired and hence you need a new windshield to avoid any mishap. For all above reasons you may call Auto Glass Masters for expert advice or visit our nearest service centre for a new windshield replacement.